Jakarta, Indonesia: The largest global sports media property in Asian history, ONE Championship™ (ONE), electrified the Istora Senayan once again last Saturday night, 19 January at ONE: ETERNAL GLORY. The first ONE Championship live event in 2019 kicked the year off in style, as the absolute best in local and international martial arts talent took center stage. 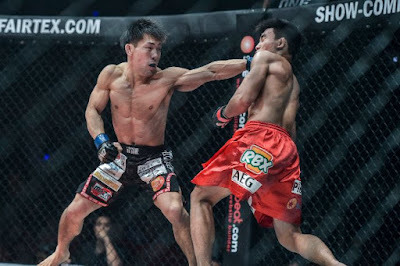 In the main event, Japan’s Yosuke “Tobizaru” Saruta was crowned the new ONE Strawweight World Champion with a split decision victory over the Philippines’ Joshua “The Passion” Pacio.